Having a pressure ulcer can be a painful and unpleasant experience. A large number of pressure ulcers are believed to be avoidable. 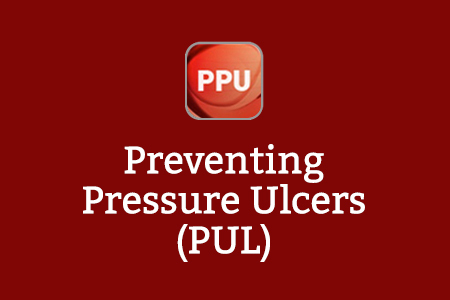 The Preventing Pressure Ulcers online learning resource is aimed at registered nursing staff, working within a hospital Trust, community or a care home setting, to help reduce the number of pressure ulcers. This work was commissioned by the Thames Valley and Wessex e-Learning Club, a consortium of 14 NHS Trusts, and delivered by Health Education England e-Learning for Healthcare. NICE and European Pressure Ulcer Advisory Panel (EPUAP) guidelines currently state that a pressure ulcer risk assessment must be undertaken on admission or transfer to another area (or first visit in the community). This programme will enable registered nurses to demonstrate their ability to accurately grade, risk assess and manage pressure ulcers. 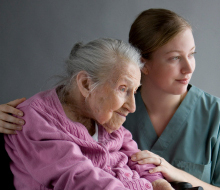 The programme can be used to supplement existing training provision and may also be of benefit to healthcare assistants and allied health professionals. Please note that if you access the content below, your progress and completion of sessions will not be recorded and you will not be able to generate a record of completion. If you require evidence of learning, please register and then log in to access this programme on the e-LfH Hub. This session is to make clinical healthcare workers more aware of the key aspects of pressure ulcer prevention. Having a pressure ulcer can be a painful and unpleasant experience. A large number of pressure ulcers are believed to be avoidable. This course is aimed at registered nursing staff, working within a hospital Trust, community or a care home setting, to help reduce the number of pressure ulcers. If you already have an account with e-LfH, then you can enrol on to the Preventing Pressure Ulcers programme by logging in to the e-LfH Hub, selecting My Account > Enrolment and selecting the programme. You can then access the programme immediately in the My e-Learning section. The Preventing Pressure Ulcers programme is also available to NHS healthcare staff via the Electronic Staff Record (ESR). Accessing this e-Learning via ESR means that your completions will transfer with you throughout your NHS career. The Preventing Pressure Ulcers e-learning is available to access using the open access session page in the left hand menu. If you access the content from here, you will not have to log in but your activity will not be tracked and you will not be able to generate a record of completion.